Peripheral vascular disease (PVD), also referred to as Peripheral arterial disease (PAD) is a common problem of the circulatory system which is characterized by narrowing of the arteries due to plaque formation, thereby, reducing the blood flow to the affected limb. Plaques or atheroma are fatty patches that develop in the lining of the arteries. Initially, the plaques are very small and do not cause any problem. Gradually, the plaque becomes thicker narrowing the arteries. 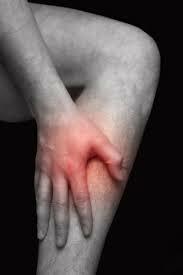 The treatment for Peripheral Vascular Disease has two main aims. The first is to manage the existing symptoms so as to ensure that the patient can resume physical activities. The second is to stop further deterioration of the atherosclerosis in the body so as to reduce the risk of heart attack and stroke. Statin is a cholesterol-lowering drug which reduces the risk of heart attack and stroke. This is done to achieve the target of reducing the systolic blood pressure to 140 mm Hg or less and diastolic blood pressure to 90 mm Hg or less. Systolic is the first or higher value and diastolic is the second or lower value in the blood pressure reading. Doctor should be consulted to determine the ideal blood sugar level and what your goal should be. Steps to achieve these goals should also be discussed with the doctor. Blood thinning medication or medicines to prevent formation of blood clots like Aspirin or Clopidogrel (Plavix) are sometimes prescribed by the doctor. This is to ensure that a blood clot does not block a narrowed artery and cause tissue death. Small and little changes in everyday life can help to manage the symptoms and bring down the progression of the disease. Quit smoking: One of the most significant risk factor for peripheral vascular disease to develop and worsen is smoking. It constricts and restricts the arteries and one of the most important lifestyle changes you can make is to quit smoking thus avoiding further complications. Aids to quit smoking can also be used to help in quitting after discussing with the doctor. Exercise regularly: Doctor can recommend the correct exercise plan for you depending on the condition. It is a very crucial component of lifestyle modification and how far you can walk determines the success of the treatment as well. Exercise regimen helps to increase the muscle condition and its ability to use oxygen effectively. Keep a healthy diet: High blood pressure and increased levels of cholesterol contribute to atherosclerosis. Hence, it is important to have a diet that is low in saturated fats and salt. Avoid cold medications: Some OTC medications used to treat cold contain pseudoephedrine which cause constriction of blood vessels and increase symptoms of PVD.